Are CDAO priorities shifting towards AI? 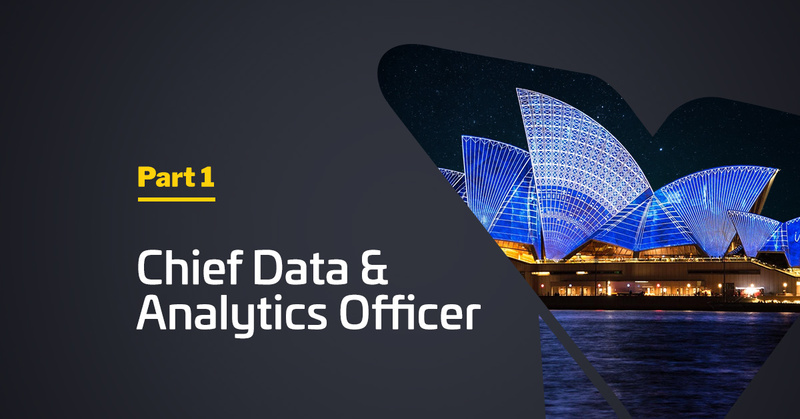 Back in March, I attended the Chief Data & Analytics Officer conference in Sydney – Yellowfin was one of the sponsors of the event so in addition to listening to the presentations, I spent some time working on a survey of attendees. It’s something we’ve done at every CDAO conference since the beginning of 2017 as a way of keeping in touch with the priorities of data professionals. With the first survey done in last February, we had an opportunity to follow up with another survey involving almost the same group at the March 2018 Sydney CDAO conference. Normally, in such a short time-frame, we wouldn’t expect to see much in the way of change. There may be a very small adjustment in percentages but the main issues and future plans remain constant. What intrigued me this time however, is the faint suggestion that there may be a change in the air. For the first time, almost half of data professionals cited an interest in AI. Over the next two blogs, I’d like to share the main findings and highlight a few comparisons between the attitudes of CDOs/CAOs in 2017 and now. From my perspective, it seems as though the market may be shifting slightly. Being largely a customer-focused approach, this means organisations are using a data offence strategy to solve their data challenges. It’s an approach that is reflected in the responses of almost every survey participant – indicating the desire for transformation within their organisations through their analytics strategy – with the customer at the centre of it all. Seventy-five percent of survey respondents were male compared to 25% female. However, between the 2017 and 2018 Sydney events, female representation increased by 4%. Does this suggest the composition of the data analytics profession has suddenly welcomed a large number of women into its ranks? Probably not, but it’s nice to think there may have been some improvement. Here at Yellowfin we’ve been talking about the need for a more representative profession for some years. In 2017 we sponsored a number of workshops and conferences aimed at encouraging women’s interest in the analytics industry. The enthusiasm from attendees encouraged us, so this year we’ve announced support for four key STEM initiatives. Between them, these initiatives address the spectrum of a woman’s working life – from school through to the workforce and on into management. The programs are: Go Girl, Go for IT (by Vic ICT for Women), Young ICT Explorers, SheLovesData and Women in Data. I highly recommend you look them up. It’s worth understanding the help that is out there for new entrants into the industry. Now this one is curious. The top three are: Financial Services, Government and Media & Entertainment. It’s no surprise to see financial services and government leading the charge when it comes to BI and analytics, but this is the first time I’ve seen media and entertainment making it into the top three. I suspect this is a case of the 3Vs now being faced by the media and entertainment industry. A key example would be subscriber numbers for streaming services growing, media companies are having to deal with a tremendous volume, variety and velocity of data regarding subscriber demographics, sentiment, viewing habits and more. The challenge to turn this data into something of value, something that will keep subscribers coming back and increase their value is pushing these organisations to become more sophisticated in their BI and analytics strategies. So that’s the snapshot of priorities and activity right now. In Part 2 of this series I’ll be looking at what our surveys suggest for the future – the software categories that organisations are hoping to deploy, a surprising new focus for analytics that seems to be gaining ground, and the barriers that are preventing CDOs/CAOs from achieving their goals.